Mediterranean Spinach Salad with Artichokes and Capers! 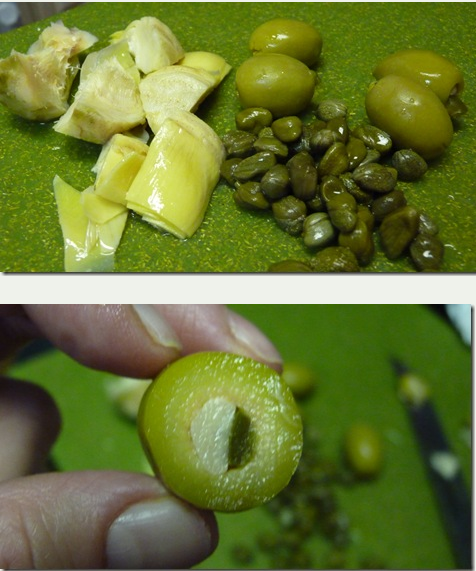 You are here: Home / Recipes / Dinner / Mediterranean Spinach Salad with Artichokes and Capers! 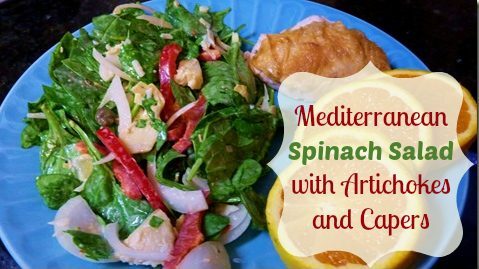 Susan is back with a new recipe: Mediterranean Spinach Salad with Artichokes and Capers! I don’t normally write down a salad recipe and therefore, it is hard to post one on a blog. But my husband and I have a very favorite salad that I call “the go to salad”. To begin with, you have to purchase some things from Costco. These are some of my favorite things and I use them in everything. You might say they are luxury items and you could live without them. You might say that they are too expensive, but I am here to say that if you purchase these items, you will make them work in so many dishes that it will be worth the extra expense. Also, if you are a foodie, like me, you will feel like you are eating a treat every time….for little added calories. If you have a giant jar of artichoke hearts in your refrigerator, you will eat one on every salad and they make a ho hum salad into a tasty treat. Also, chicken paired with artichokes in a lemon butter sauce over pasta is delicious. We discovered this combination of flavors one night simply by accident. You know how it is. You open the frig and start pulling out anything that might be good in a salad. For some reason that night, my husband was making the salad. This is not a common occurrence but you can bet if he is fixing something for dinner, it is because I am not there or had a really stressful day and didn’t get home until late…you get the picture. But it is not to say that he cannot cook because he does a great job when he does. Ever since that night, we have made the same salad over and over because it just really went well together. It reminds me of the Blue Cheese, Walnut and Pear salad. The flavors just work together. Ok….ok….here it is. One thing that we do (and you will get big chunks of crunchy goodness) is to keep the pepper and onions in slices instead of chops. The same thing is true of the cheese. If all you have is grated Parmesan, I am sure it would be good but not nearly as good as slicing off some Pecorino Romano from Costco. It is sort of salty and low in calories. I have used it almost daily since I bought it a month ago….even if just a bite.